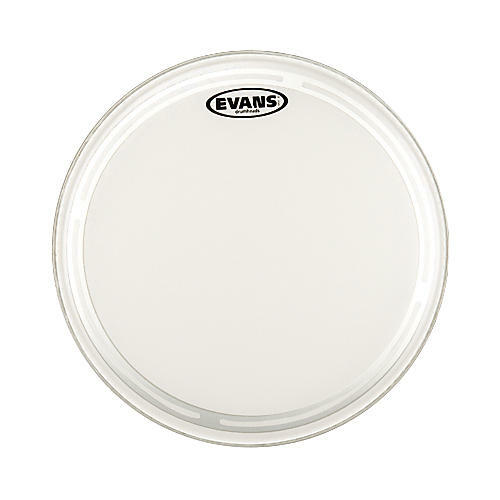 Evans broke new ground by developing the EC2 batter head that removes unwanted drum overtones, focuses pitch, and enhances attack without inhibiting dynamic range as other damped heads do. The EC2 features an "Edge-Control" ring mounted underneath two plies of 7mil film. By controlling, instead of eliminating, edge vibration, the ring isolates and damps higher overtones, enhancing low-end and attack, and enabling a broader tuning range. The EC2 coated tom head has a fine, translucent frosted coating. The result is a warm tone and additional focus.